Sold as a set of TWO headlights. Note: blackout and other customization available by request, contact us for more information. 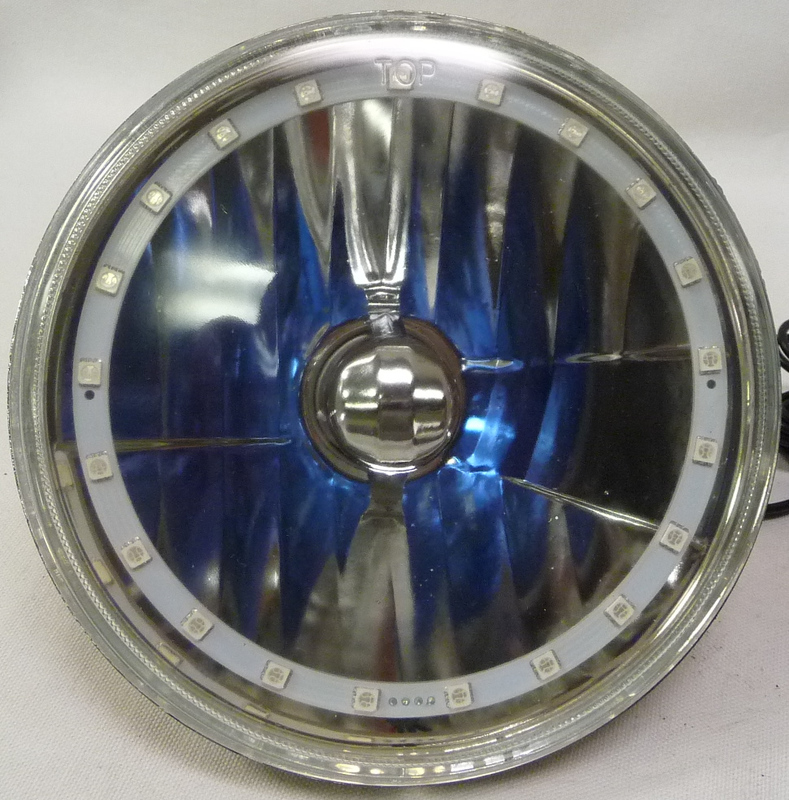 This is a standard 7 inch round headlight that directly replaces H6024 or H6014 sealed beam OEM headlights. 50 % more light versus the Original Equipment Manufactures. YOU CAN NOW SEE THE ROAD. 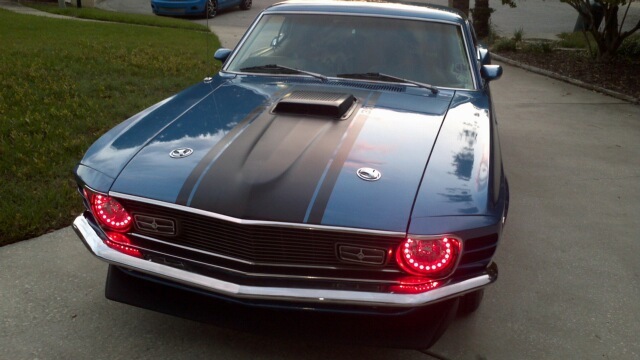 LED Halo acts like a Daylight Running Light so people see you before they pull out in front of you! OEM quality/fitment. May require minor modifications to headlight bucket on older models. Headlight features simple plug in installation using your factory headlamp assembly plugs. Includes white H4 halogen or Xenon Lamps. Replaces the stock unit to provide greater visibility, >50% brighter than the stock. Direct bolt-on replacement for the stock unit. Uses low power can leave on during a car show or cruse-in. Good vibration resistance and stable emitting. Long life:100,000 hours or more. IMPORTANT disclosure regarding street legality for multi-color halo kits. 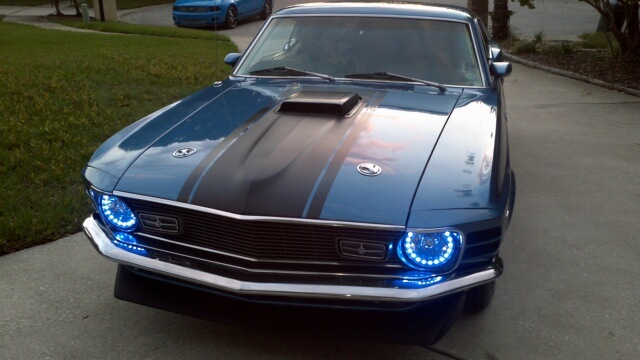 Multi-Color semi-sealed Headlight with 5050 surface mount red-green-blue LED’s. Not like the original Sealed Beams where you throw away the whole headlight. Our headlight features a interchangeable bulb assembly, so when the bulb goes out you just replace the bulb. Replace it with a Halogen or Xenon Bulb H4 type that can be purchased from any auto parts store. Even though the bulb looks blue the headlight shows as ultra white color, no blue at all!! Rubber dust boot is a water tight rubber piece that fits over the back of the headlight around the back of the bulb to keep the headlight water tight. Ceramic pigtail harness. This harness is used with brighter usually hotter H4 bulbs, such as Xenon and HID. It is used to protect you legacy harness from melting from hotter bulbs. You place this pigtail harness between your harness and the back of the headlight onto the H4 bulb. Notice the white ceramic tip, this tip can reach heat temperatures of 5000 degrees. Wireless Remote. That’s right a remote you use to change the color of the LED ring in the headlight. There are sixteen colors to choose from. RGB harness. 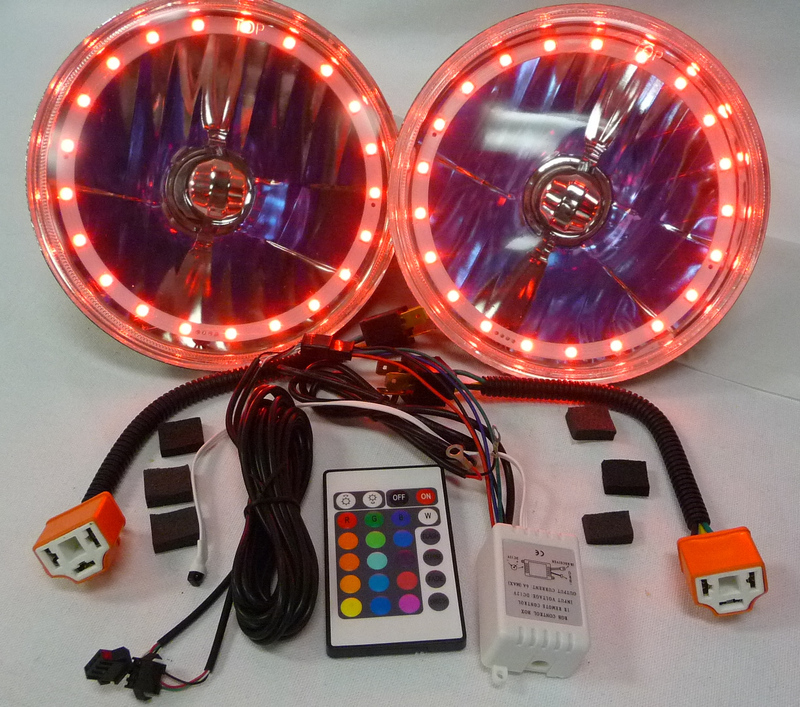 This harness is used control the color of the LED ring. You can run the power for the attached control module directly to the battery or to the ignition switch.